As the Scholarship Director for Kasiisi in America, Akshita Puram was able to make it out to Uganda this past week for the annual scholar meeting, new scholar selection meeting and the new scholar parent/student announcements. Along with Akshita, the Kasiisi Scholarship Program also had one of their sponsors, the Dobbyn Foundation, visit to meet their current and new scholars. The Kasiisi Project uses national exams to choose top ranking students for scholarships. This year we had 6.5 sponsorships to provide our support to students for secondary schooling. There were students that did equally well, but instead of having to decide a student’s fate with a tie breaker, the president of Kasiisi, Elizabeth Ross offered to personally support a student and The Kasiisi Project Girls Program will support 2! 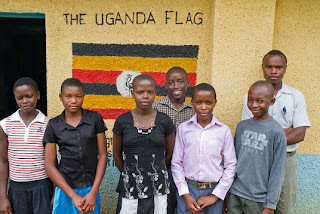 We are now hoping the African Orphan Foundation will be able to support one of our orphan girls that we selected for sponsorship–providing eight new students with sponsorships and totaling Kasiisi sponsorships to 88 for the 2011 school year! 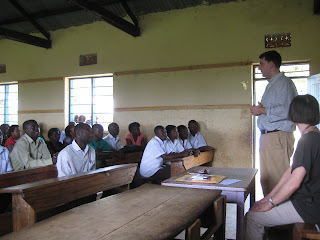 Later that week, we had a meeting with the eight new scholars and their parents. You could see how happy and proud the parents and students were. It was truly great to be a part of such an amazing organization and see the fruit of everyone’s hard work. The Kasiisi Project has made it a long way from where it started. Today, the Kasiisi Primary School stands as the 3rd best public school in the district and through helping rebuild multiple schools in Kabarole, our district now stands as 6th in the nation! Our hopes are to continue to move up in ranking and help further the education of Ugandan students one a step at a time. This entry was posted in Scholarships. Bookmark the permalink.